Holy city's mayor speaks to Al Jazeera about ambitious $125bn development projects. Every year, millions of Muslims gather in Saudi Arabia's holy city of Mecca to perform Hajj. The city's Grand Mosque overflows with pilgrims and many more clamour for space outside the mosque's walls. That is a reality that Saudi authorities are hoping to change, with an ambitious expansion and renovation project under way across the city. Osama al-Bar, the mayor of Mecca, sat down with Al Jazeera to discuss the project, which will see $125bn spent over the next 10 years to expand the city's infrastructure and holy sites. What are some of the big projects that are taking place in the city of Mecca? Al-Bar: You know that Mecca has been changing, or started the journey of change, during the past two years. I think the project that will affect Mecca the most in the near future is the expansion of the Holy Mosque. This megaproject will add more than around 400,000 square metres. The first phase of this megaproject has been finished with the expansion of al-Massa. Al-Massa has been doubled in area, and also more floors, and that will ease the situation which was in the past. Now the capacity of al-Massa may be more than 100,000 pilgrims per hour, which will accommodate more hajis [pilgrims] in doing the sa'i [where pilgrims walk seven times around the hills of Safa and Marwha] without any problems. Also, there are megaprojects both in the civil side and in the public services and infrastructure, and also in the holy shrines of Mina and Arafat and Muzdalifah. If we're talking about the civil roads and megaprojects in housing and infrastructures, we have more than 40 projects in this field. Why does the kingdom feel compelled to expand the mosque? The problem was, you have the situation that Islam has been spread, Alhamdulillah [praise be to God], more and more everywhere, and the number of Muslims has been increasing - maybe doubling within three decades or something like that. Also information technology and the media have been expanded dramatically during the last decade. With all of the people that come to Mecca to perform Hajj and Umrah [a pilgrimage to Mecca, undertaken at any time of the year], the government should act to accommodate more hajis. If you see just in your report on Al Jazeera about Mecca during Hajj - if you see the number of pilgrims and the people around the mosque, in all the roads and surrounding areas, than it makes sense to expand al-Haram, the holy mosque, and all the shrines of al-Massa, Arafat, Mina, Muzdalifah. What are some of the challenges that you're faced with, taking on so many projects at the same time - expanding the mosque and infrastructure? There are two difficulties - one of them is how you make the expansion of infrastructure to accommodate and work in parallel with the expansion of the holy mosque and the holy shrines. 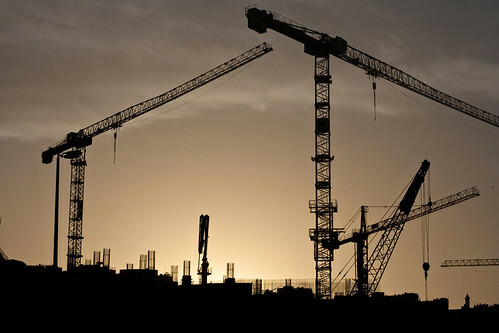 For that, you need more funds for projects and infrastructure that will draw the attention of the private sector to partner with the public sector in developing the infrastructure, the road, the mega-housing projects like Jabal Omar, like King Abdul Aziz road - these kinds of megaprojects in Mecca. That's the first challenge. The second challenge, I think, is the topography of Mecca. Mecca itself is built on valleys and high mountains. So you need special expertise in tunnels and dealing with such situations, and that's when we bring in different foreign expertise, especially from our Muslim brothers in Turkey and Pakistan, who have experts in these kinds of engineering projects. Let me ask you about Hajj - how do you see it in 25 years time? Hajj is always the same - people come as a direct response to the call of Prophet Abraham. It's the fifth pillar of Islam, it's the special journey of the Muslim. He will always come to see the Kaaba [Islam's holiest shrime], he will always come to do tawaf [when pilgrims walk round the Kaaba seven times], sa'i and go to [Mount] Arafat on the 9th day of Dhul-Hijjah [the month of pilgrimage]. So this is how the special journey will always be the same. What will change is surfaces, what will change is the transportation modes, what will change is what will ease the situation for people, will accommodate more people, in a very good environment to perform the Hajj, inshallah [God willing], in safe and good health and a very good situation. There're some criticisms with all of this development that Mecca is losing some of its history, that maybe everything is becoming too modern. Do you think that criticism is fair? I don't think so, because, the area of Mecca in older days - for centuries - is still almost the same area of the holy mosque now. You have to balance how you can accommodate more people, more hajis coming to Mecca to do the fifth pillar of Islam. With these very narrow roads and very historical areas, you cannot. "The most important things are the holy mosque and the holy shrine, and that will be kept as is"
The most important things are the holy mosque and the holy shrine, and that will be kept as is. The Kaaba will be kept from the time of Prophet Abraham until now; centuries, thousands of years. The massa is the same, the mountains of Safa and Marwa, from when Hagar, the wife of Prophet Abraham, and his son Ismail came to Mecca and were asking for water, Zamzam [the well said to have been uncovered by Hagar in her search for water] - these kinds of things will be kept for centuries, until inshallah the end of life. But the situation should change for people - for the ease of public services, transportation modes, housing modes. How can you accommodate people in old houses and expect they will be safe in them? You cannot do that. So, you should do what Saudi Arabia did in the last decade, and what they will continue to do, inshallah. Do you have an estimate of how much all these projects cost? We talked about, I think, just the projects in the last two years. I think it's around 100 billion Saudi riyals [$26.6bn]. What we need, or what we plan to do, within the next ten years, I think will range around 500 billion Saudi riyals. So we're talking about $125bn, something like that, over the next decade. Over the next decade ... for infrastructure? For infrastructure, yes, for megaprojects in housing, for megaprojects in transportation modes, for megaprojects in roads, and some kinds of infrastructure.